Fey answers some car questions from That Peter G and Scotty the Little Aussie Battler. We talk about windshield wipers, the Suzuki Vitara SUV, and All Wheel Drive versus 4 Wheel Drive. 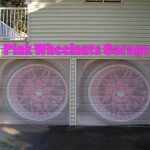 Send your car questions to podcast@PinkWheelnuts.com. Some tire talk and difficult decisions to make regarding car purchases. A follow up to Ranger John’s Honda Fit Battery issue with a call in respose from a listener. Maxing out the speed on a Seadoo. Suspicions about Scotty the Little Aussie Battler. How long do you intend to live? I need a good pair of sunglasses. A trip up north to visit family and friends. The Spycar behaves like a proper German engineered block of steel. Leave a review for Next Blime in iTunes and get some free dirty underwear. Ranger John has a similar battery problem to the SpyCar. Scotty the Little Aussie Battler has a car puchasing question: Wagon or SUV? I am enjoying my new pool but still seeking an electrician. A jaunt out in Manuell to take care of some chores. I discuss all the various vehicle maintenance issues with each of my cars. This episode will be for car lovers only.